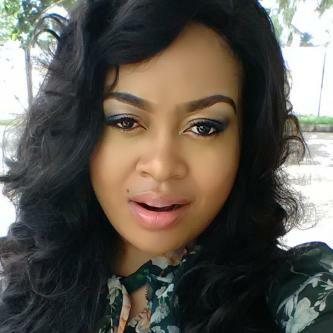 Nkiru Sylvanus reveals that she has never been married. Veteran Nollywood actress, Nkiru Sylvanus, recently had a tell-it-all interview with The Nations where she revealed interesting details of her marital status. The actress, who just recently launched an album, spoke on her plans for music. According to her, she plans to go into full time music. She however, plans to keep acting while at it. On rumours surrounding her marital status, the actress says she has never been married. She is waiting for the right time and when it comes, it wouldn’t be a hidden affair, she said. The album is a bold step at bringing out one of my gifts, which is singing, and it is already on different online platforms. The 15-track album was released on March 25, 2018 by the Record Label, Kisil Entertainment Network. It has songs like Imela, I Cry to You, Authority, Chukwu Obioma, Awesome God and I’m Not Afraid, featuring Ifunanya. I will begin the first leg of my media tour in Lagos.” Get hottest gist on Naija uncensored Facebook Grou. I don’t pay attention to things that don’t add value to me, so I barely notice them.” She also replied on What’s holding her back from taking the marital vows? She said “It will happen in due time, and when the time comes it won’t be a hidden affair; you will all be invited. When the right man comes calling and if I’m satisfied within my soul that this is the man I’m going to spend the rest of my life with. I’ve worked hard as a young lady that, right now, I don’t want just any man but a man that will be there for me. A lot is being said about me, and I know.